Upgrade your patients to a lens they wear one day and enjoy all day. Important Notice: As of October 31, 2018 the Proclear® 1 day multifocal 30-pack size will be discontinued. However, trial lenses and revenue 90-packs are still available. If you have questions about these products, please contact your CooperVision Territory Manager or call 1 800 268 5367. Choose Proclear® 1 day multifocal and experience success with the growing number of presbyopic patients who are interested in a 1-day lens. 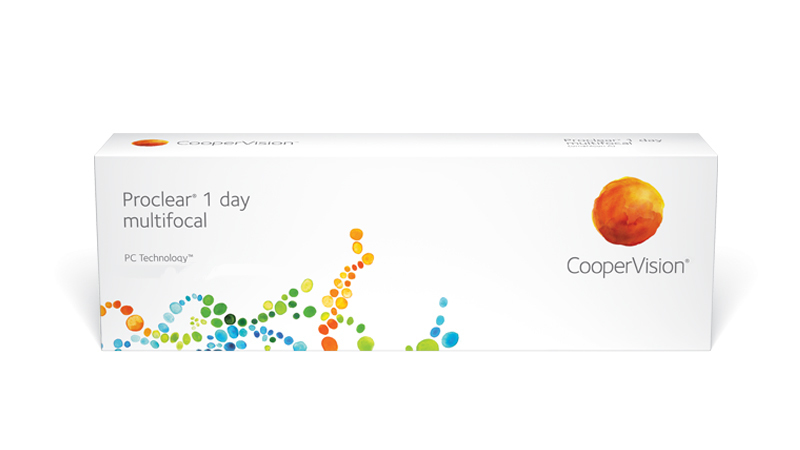 With Proclear 1 day multifocal, you will find everything you and your patients need in a daily disposable contact lens.